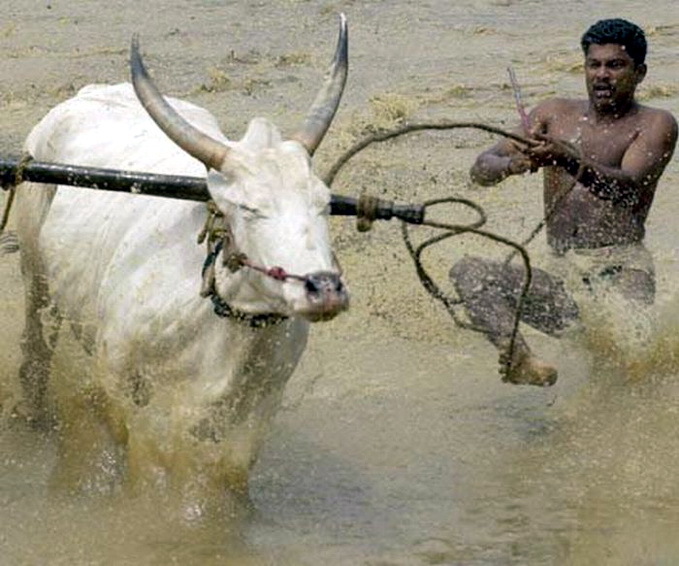 The most famous traditional game involving bulls is Spanish bullfighting. 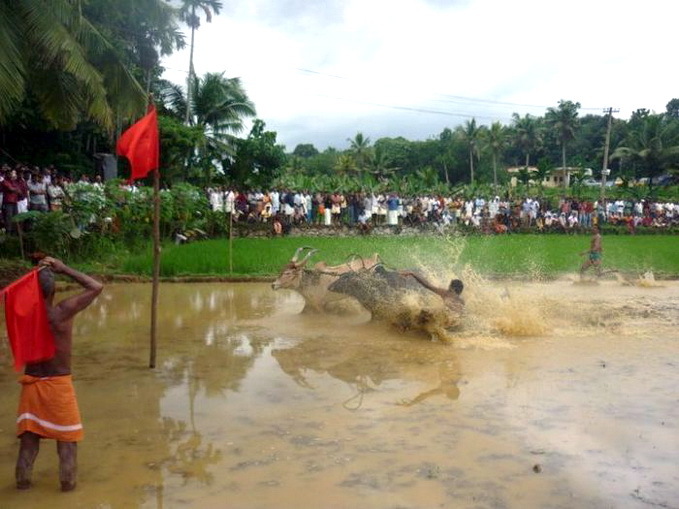 But the people of Kerala, India, have come up with a way celebration that doesn’t involve torturing and killing poor animals. 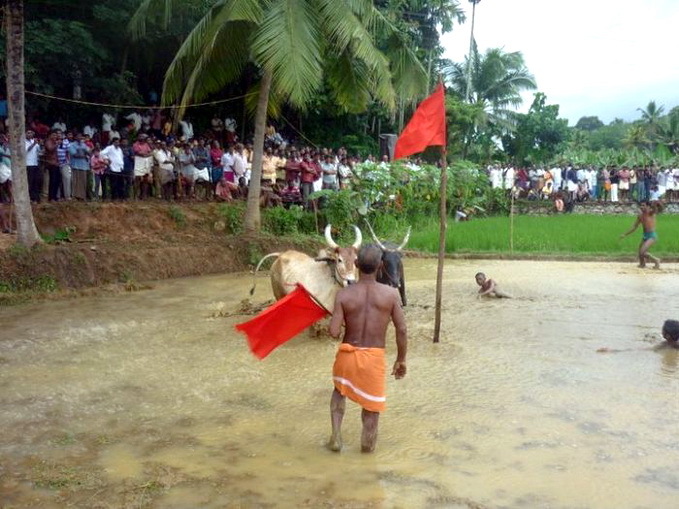 The Maramadi is an annual festival (known as Maramadi Mahotsavam), held during the post harvest season in the villages of Kerala. 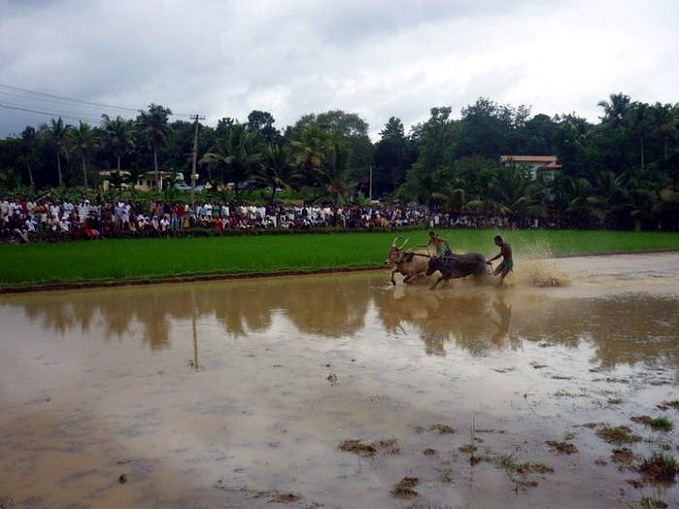 It is a bull racing competition and the freshly ploughed fields (in which paddy is not yet sown) are put to best use by creating a racing track for the oxen and bulls. 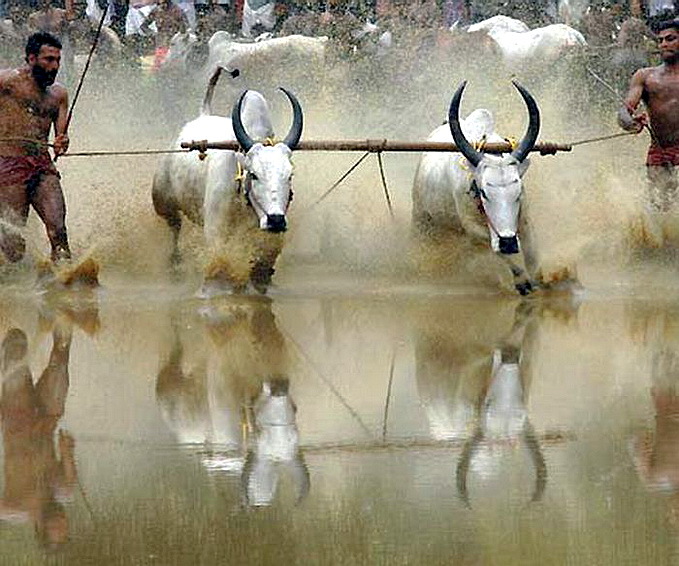 The fields, known as kandams are filled with water and the muddy water splash about as the bulls are raced by their guides. 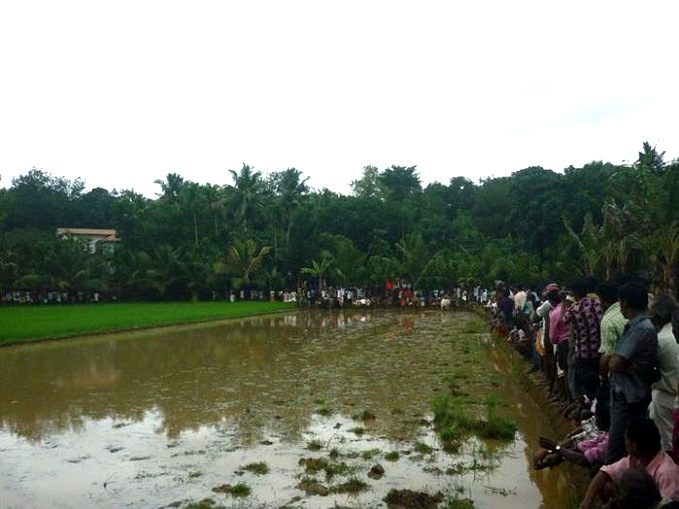 The villagers gather around these fields keeping safe distance. 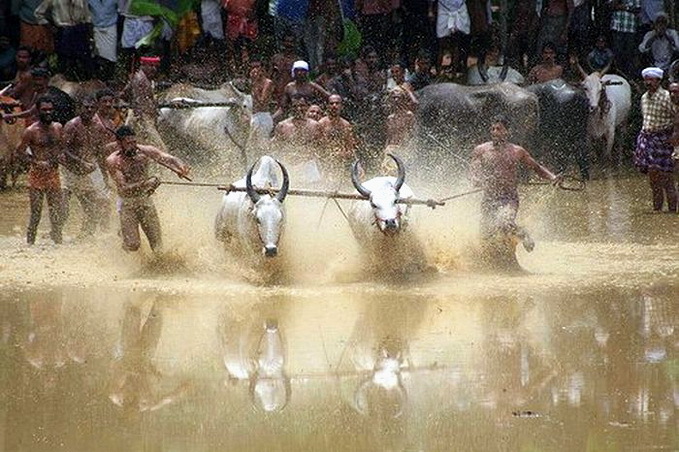 The air is rent with excitement fervor as there is stiff competition over these races. 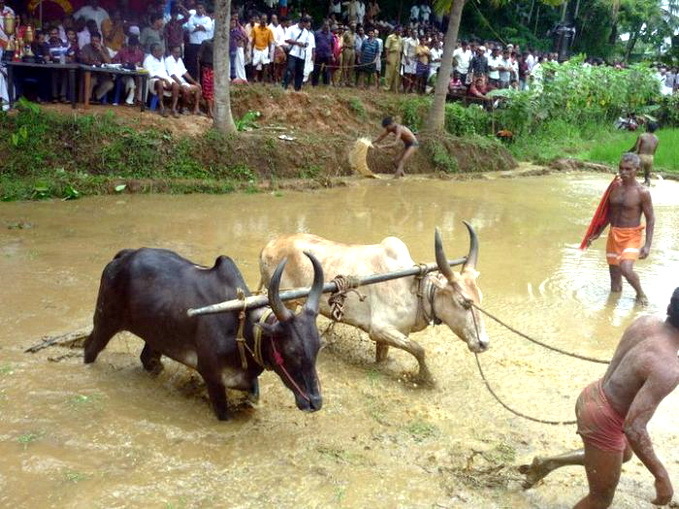 Like professional Jockeys these persons are also well trained and are experts in managing the oxen during the race. 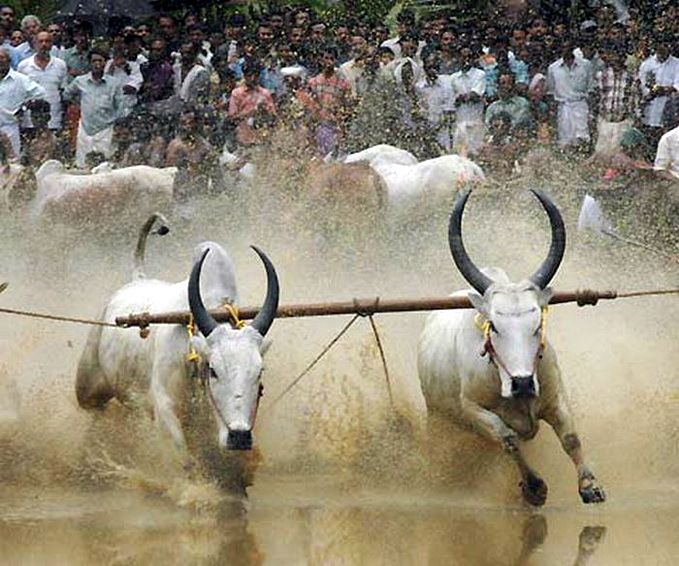 The oxen participating in for these races are specially fed and trained at a cost of around ten thousand rupees per pair. Previous Previous post: Why am I doing this, to lose weight?